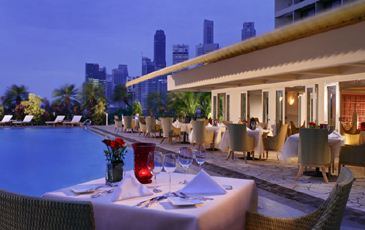 Dolce Vita, at Poolside of The Mandarin Oriental, Singapore, serves Mediterranean cuisine. There is a wave of exclusive hotels across Asia that offer the height of luxury for the traveler. Whether it is the biggest rooms in the city, Michelin starred chefs, the forefront of design, or extra special service, the new luxury stops at nothing to impress. When searching for a place to stay, there are many different standards of accommodation and service. Ranging from a dingy motel, small family run establishment, good value hotel or luxurious splendor all the way. Only a few hotels can sport an exclusive tag, and it takes a lot to become a chieftain in terms of luxury accommodation. Service should be impeccable, design should be outstanding and well balanced and there should always be unique features leaving guests suitably in awe. Asia has many hotels but only a select few can be A-list. Whether it's a butler you want, or just to feel that nothing is too much trouble. Whether you want to live like a princess for a few days or just to be staying somewhere that is designed tastefully. Welcome to the new luxury Asia, you can be guaranteed the best. The Caravelle has the best reputation in Ho Chi Min and it's not hard to see why. This old world style hotel has class and understated elegance that rivals some of the top hotels in the world. Opulent yes, but not over the top and it retains its classical and traditional feel without being over fussy. 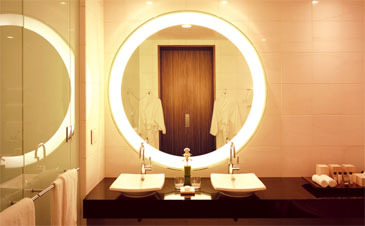 The Signature Suites at the hotel are classical style, with furniture in Brazilian teakwood and marble bathroom floors. The Presidential suites are the most impressive however. These suites have lounge areas, elegant dining room, fully equipped kitchen, study, grand four pillar king size bed, spacious bathroom with oversized bathtub, walk in closet (just because), and your own splendid private garden terrace. Port Orient serves Western cuisine with an Asian touch, and Asian Reflections a chic brasserie .The hotel also offers a range of culinary courses. So if you've ever wanted to cook up a Vietnamese feast for your friends, then learning off the super skilled chefs here is definitely going to win you some kudos. The courses also include a trip to a Vietnamese market to purchase the produce, which is always interesting. You can get amongst the hustle and bustle and learn a thing or two about the Vietnamese culture that is often the highlight of any trip. Four Seasons have a reputation second to none but the two hotels in Bali are the cream of the crop. 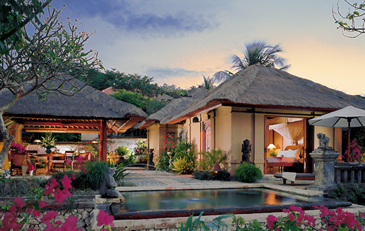 Based in Jimbaran Bay, and Ubud each property has something unique to add to the mix of style and extreme luxury. Comprising two thatched sleeping pavilions, each with bathing pavilion, plus a living/dining pavilion and a private tropical garden, the Royal Villa measures 600 square meters. Placed in an exclusive location near the water, with privacy ensured by high stonewalls, Royal Villas overlook stunning views of Jimbaran Bay. If this was not decadent enough, each villa features a large swimming pool, sauna, hot and cold plunge pools and two large sundecks, as well as the optional services of an attentive butler. 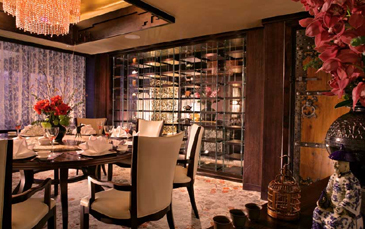 Interiors are tastefully decorated with a mix of stunning oriental design that induces a jaw dropping reaction. Four Seasons, Ubud hotel is surrounded by jungle and interesting noises. But safely tucked away in this jungle paradise, the insects are not going to trouble you. A top destination and hotel in it's own right, Bali is always a favorite choice and the Four Seasons certainly offers exclusive accommodation, for high-class nights in Asia. 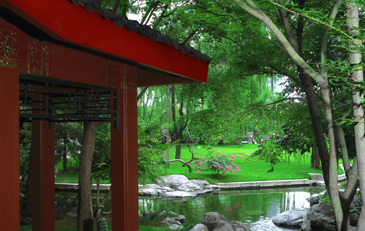 Set amidst unique landscaped gardens, the Shangri-La Beijing is top quality all the way. The hotel group has a great reputation in Asia and this hotel has been praised for its amazing renovation and decor. 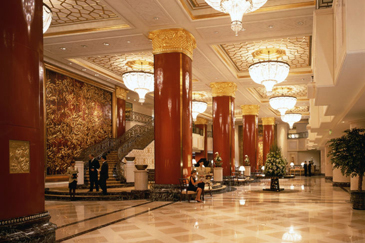 Based downtown, in Beijing's financial district, the Shangri-La offers a standard of service and style that is second to none. It is also close to The Summer Palace and State Guest House. 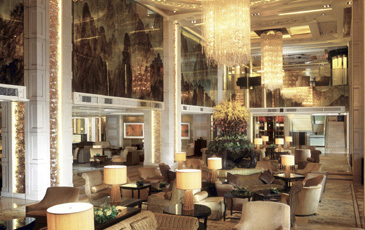 Cherry Garden of The Mandarin Oriental, Singapore, serves exquisite haute Chinese cuisine. After a multi-million dollar transformation, The Mandarin Oriental is up there with the most exclusive hotels in the world, including the age-old colonial hotel Raffles. It re-opened its doors in December 2004 after a compete re-haul. Since opening in 1987 this means it's now one of the most luxurious hotels in the city. With close attention to detail this hotel is ultra slick. 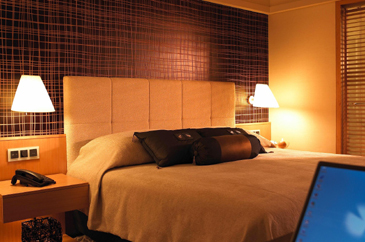 Rooms include Harbor, Ocean or City suites all with their own discreet terrace overlooking Singapore. Designer Mr. Lim worked previously on The Oriental, Bangkok and his signature sophisticated Asian style can be recognized throughout the hotel. This hotel pleases the eye at all levels and customer service is paramount. Included in the new renovation is the addition of Morton's restaurant. Life sure is tough for some. Life in the newly renovated Hilton Maldives is so tough. Waking to the sounds of the aqua blue ocean caressing your doorstep, sitting in your whirlpool on your balcony or just looking out onto crystal clear waters teeming with tropical fish, you may find yourself wondering where you are — am I in heaven? It sure is tough. For some well heeled chilling out, this is the place to hang out and do absolutely nothing but luxuriate in style. The island itself is surrounded by a vast coral reef that provides some of the most stunning snorkeling and diving in the world. If you've often thought of the Maldives as being a dream destination - you'd be right and island life here is a far cry from screaming bosses and overtime. 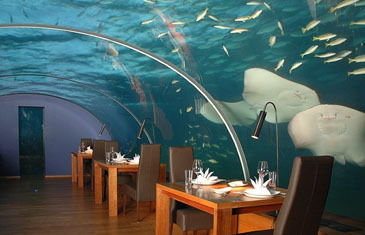 The first hotel on the island to have an underwater restaurant, this aquarium come fine dining experience will blow the mind. The hotel also offers exclusive restaurants and lazy beach barbeques by the rippling ocean. 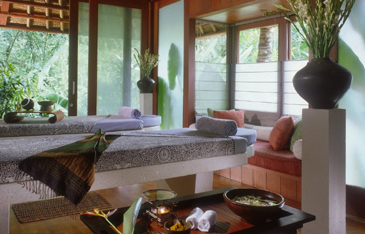 You can even indulge in a spa massage over the transparent blue lagoon. The Sofitel is not always a hotel that's shouted about in the hotel world, it's true. But when you step inside this hotel in Cambodia, it seems far away from the city of Siem Reap. Surrounded by sprawling lush tropical gardens, lakes and intricate pavilions, the interior sports ornate columns and Khmer art. Cambodia is a charming and reflective place for most travelers, and this hotel provides a refined and elegant option. Combining a fusion of French and Khmer architecture, this five star deluxe resort has swimming pool, Jacuzzi, spa, five restaurants and three slick bars. 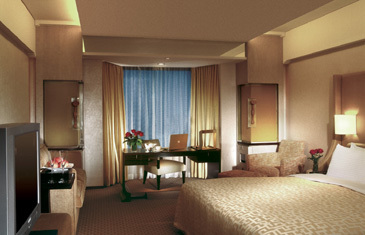 Voted by Conde Nast Traveler as the best hotel in Korea recently, The Shilla knocks the socks of everyone who enters it. In Seogwipo, the best location on the sub-tropical island of Jeju, The Shilla provides only the best for a well-heeled crowd. The hotel itself is perched above the golden sands at Jungmun Beach, a world away from the city of Seoul. Palm trees, ocean breeze and wildlife abounds. James Bond movie Goldeneye, as it was shot in this tropical heaven. Think dazzling white sands against a backdrop of coconut groves and you'll get the picture. The Banyan Tree itself is one of Asia's largest oriental spas and introduced a tropical garden spa that takes rejuvenation to a whole new level. Restaurants include: Saffron, Watercourt, Banyan Caf? and Tamarind Restaurant. Saffron offers contemporary Thai food in a unique setting. A Sanya Rak Dinner Cruise is a romantic extra touch, which will leave your partner in awe. Exuding decadence, the private pool villas have a private swimming pool, outdoor jacuzzi, open-air bath, meditation sala and even a poolside terrace. Amongst softly lit lotus ponds, each villa has an understated dining and living area, tastefully furnished bedroom suites and a kitchenette. This truly is, luxury living at its peak. The only trouble is going home. Visit www.banyantree.com or call 66 76 324 374 for more information. Set to open 1st July 2005, The Conrad is eagerly awaited by the jet set. It's easy to comprehend that, given that this giant, sophisticated and contemporary hotel is situated on the top ten floors of a 37-storey building overlooking the spectacular Hamarikyu Gardens and Rainbow Bridge. A unique and utterly luxurious mix of contemporary and traditional Japanese, its design is outstanding combining classic neutral colours and furnishings with an edge. Another huge pull is it also houses British 3 star Michelin chef, Gordon Ramsey's first Tokyo restaurant. A modern french restaurant with open kitchens, you can rely on Ramsay to provide diverse, fine dining with a theatrical twist. 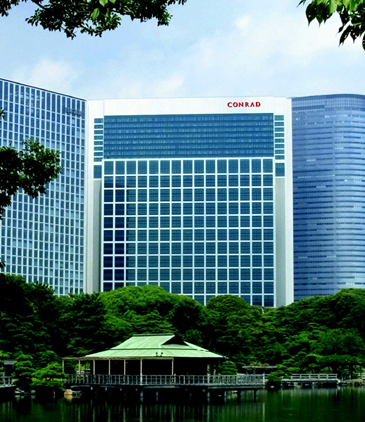 As for pampering, The Conrad Spa is the largest spa in Tokyo including quality brands like the Californian based Grape Seed Aromatherapy and German Natural Bio-Cosmetics; it's the place to get pampered in style. Taj Hotels and Palaces have a reputation for being an exclusive members club. If you want to fulfill fantasies of living like the maharaja then here's the place to do it in. You can play king of the castle to your hearts content in this decadent, intricate setting. Set amidst 18 acres of beautifully landscaped Moghul gardens, this incomparable Palace dates back to 1745 A.D.
A masterpiece in the Indo Saracenic style of architecture, it blends spotlight-grabbing opulence with tantalizing comforts that transport guests to a world of Rajasthan magnificence. Modern and opulent, this hotel is awe-inspiring. Gulab Mahal which means" palace of roses" is a multi-cuisine fine dining restaurant, offering royal ambience as well as delicious Continental, Chinese, Indian and local Rajasthani dishes.